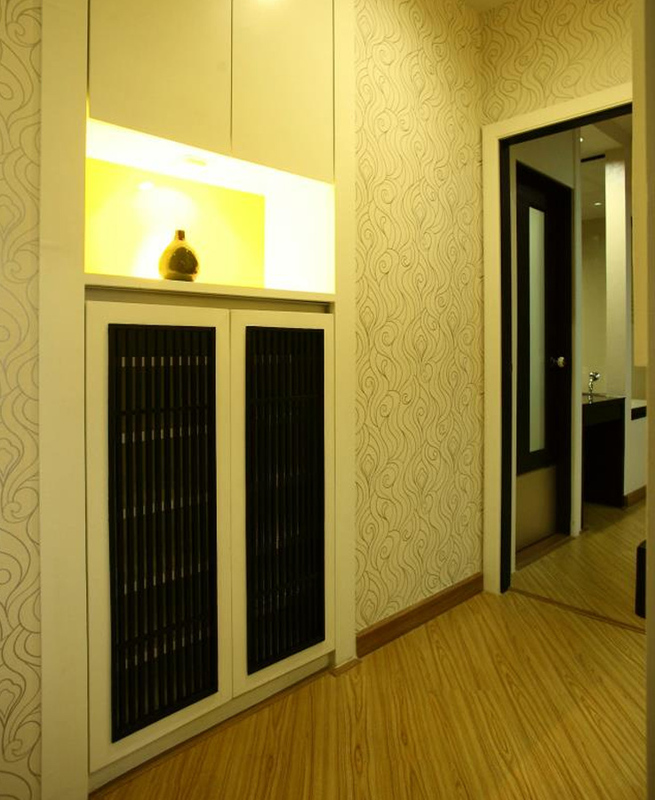 The Sunreno Serviced Apartment, a unique architecture introducing a new concept in city living and the convenience under our concept of "A Real Home From Home". 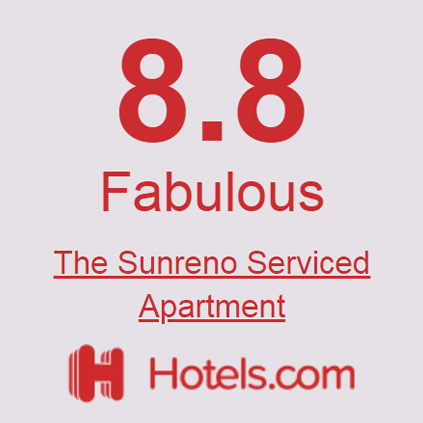 The Sunreno Serviced Apartment was build under the concerns from its founder of the quality of life of our guests, every details of The Sunreno Serviced Apartment was closely monitored to make sure that they suits the use of our guests and most importantly the 'Feng shui' was blended in every of our guest rooms. 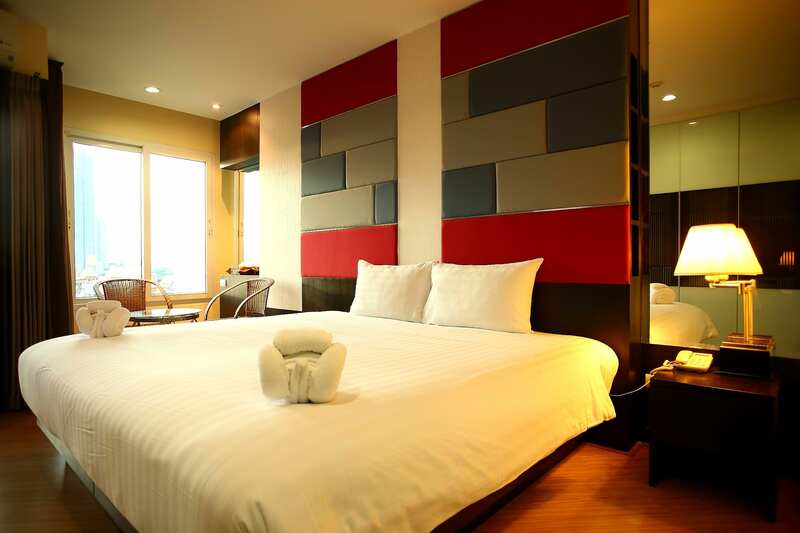 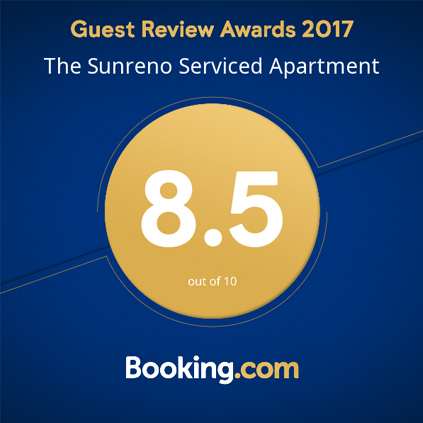 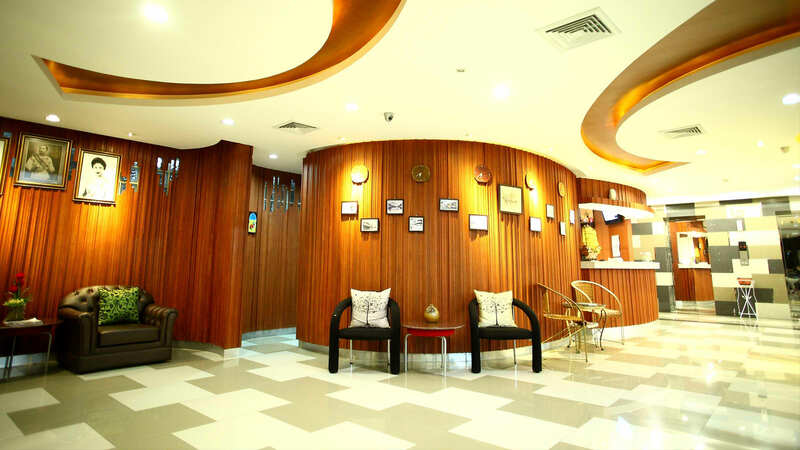 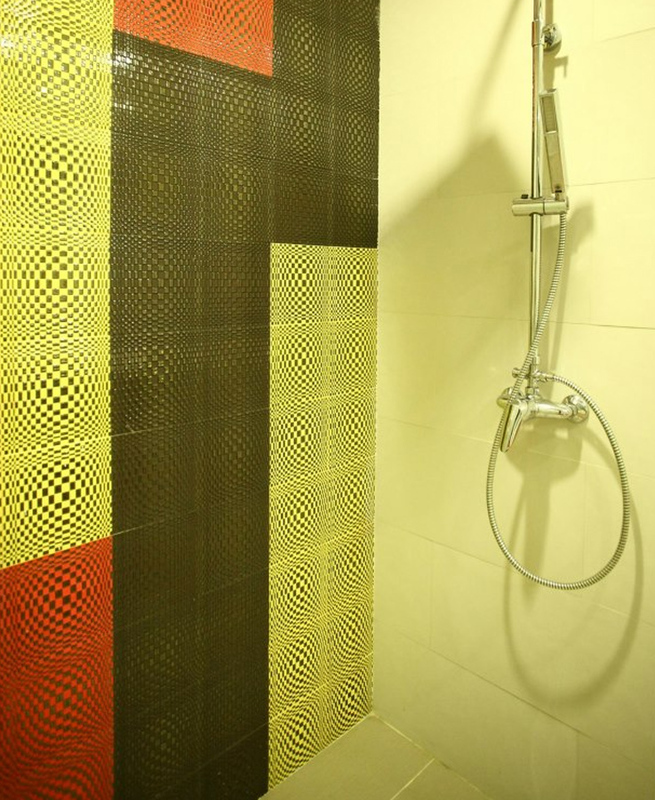 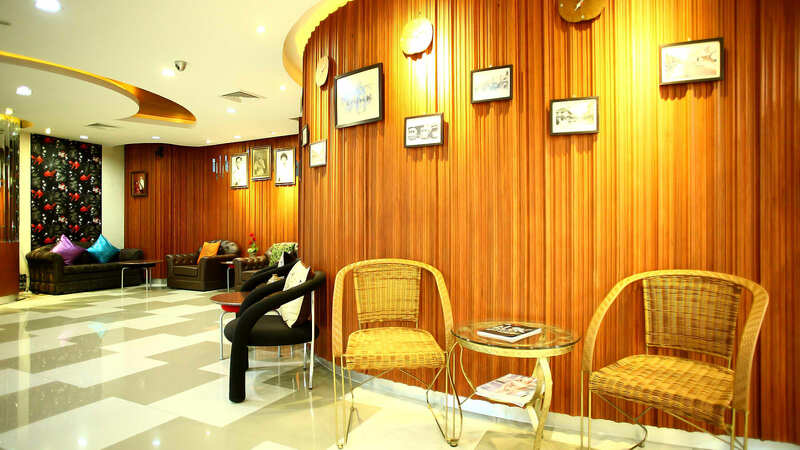 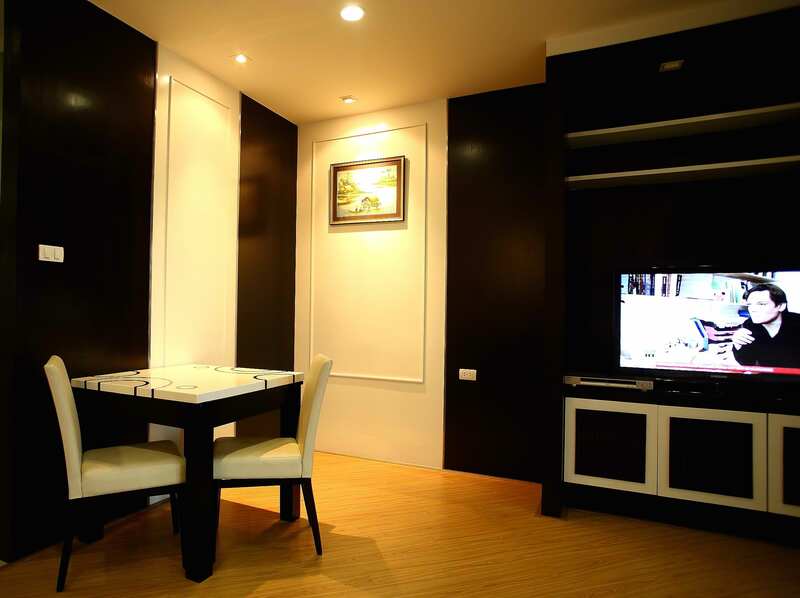 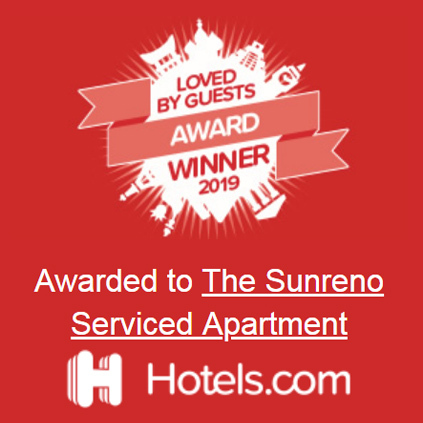 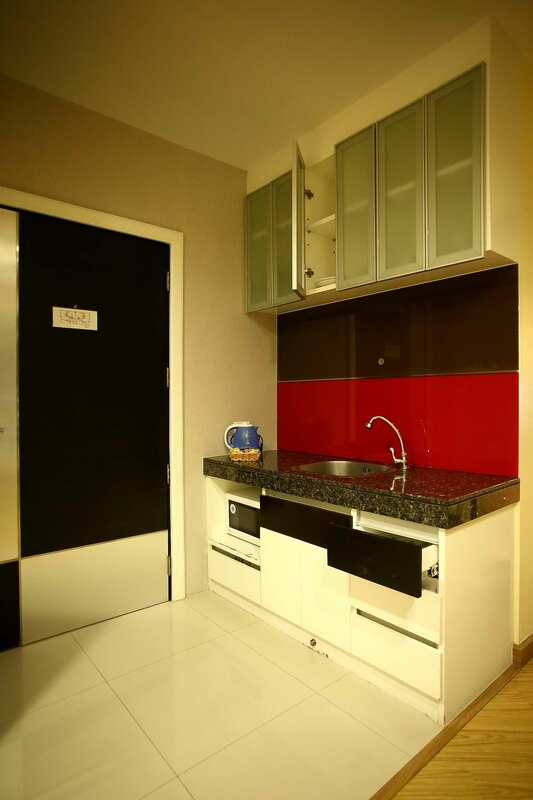 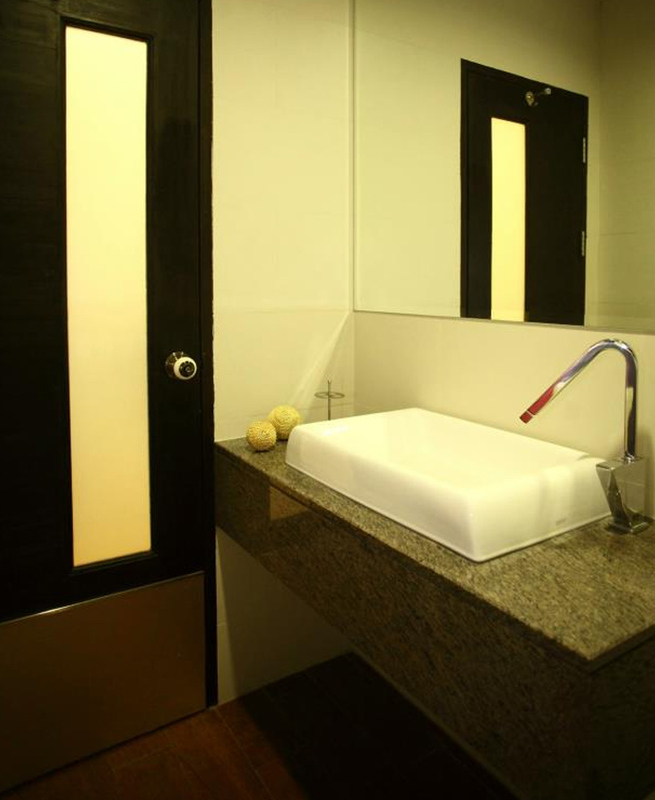 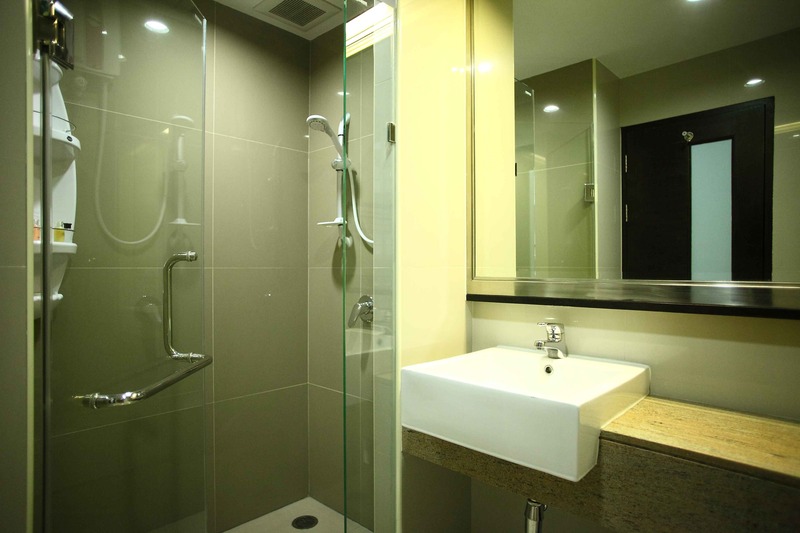 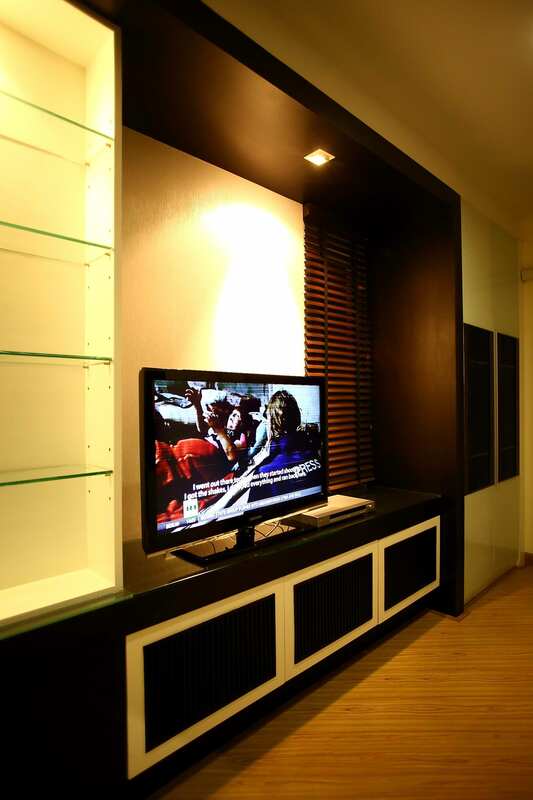 The Sunreno Serviced Apartment situated on Charoen Krung Road the heart of Bangkok business and commercial area or called "Central Business District" (CBD) in Bangkok, Thailand, 5 minutes from Sathon Road and 10 minutes from Silom Road (Bangkok CBD). 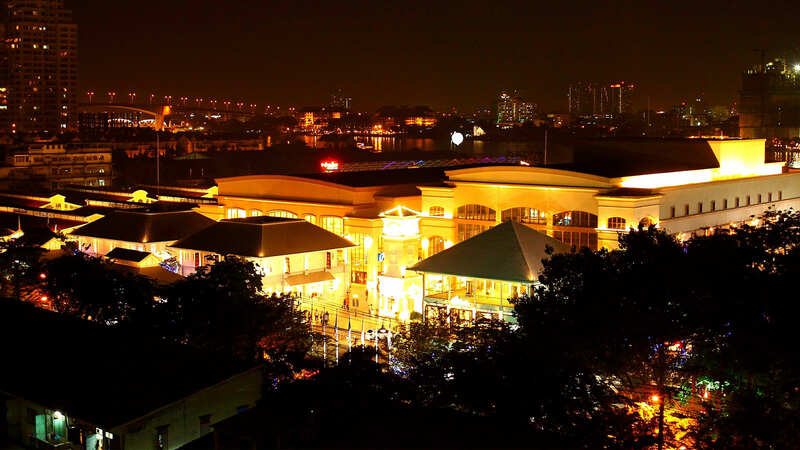 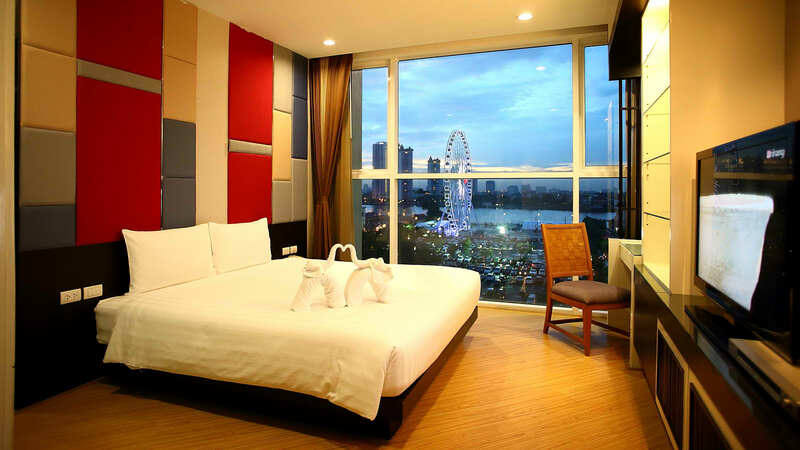 Fortunately The Sunreno Serviced Apartment located just the Opposite of "Asiatique The Riverfront" The New Travel Destination and Lifestyle Shopping Complex located on Charoen Krung Road by the Chao Phraya River, and is the latest Bangkok's new landmark. 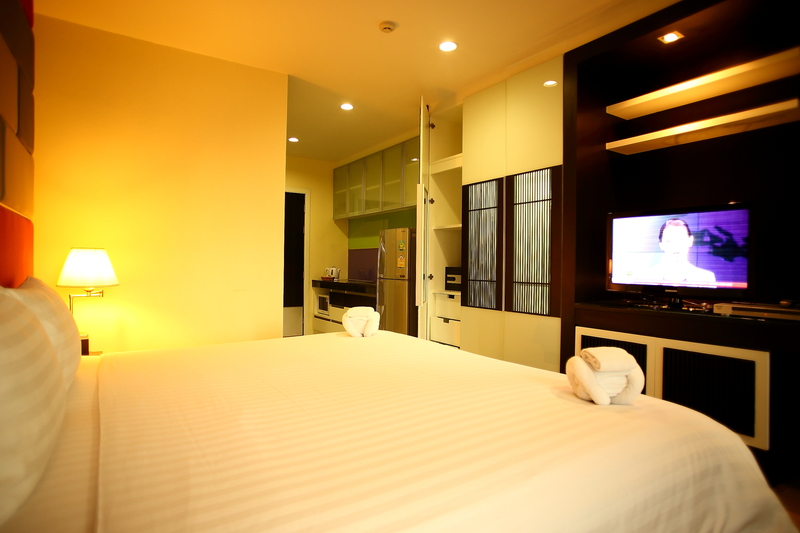 A spacious and bright superior room with a King size bed with a room size of 30². 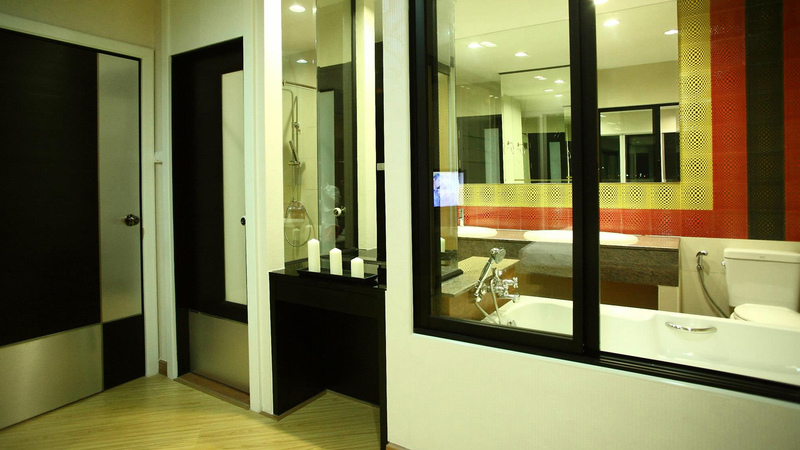 All of these modern designed rooms have their own furnished balcony and pantry. 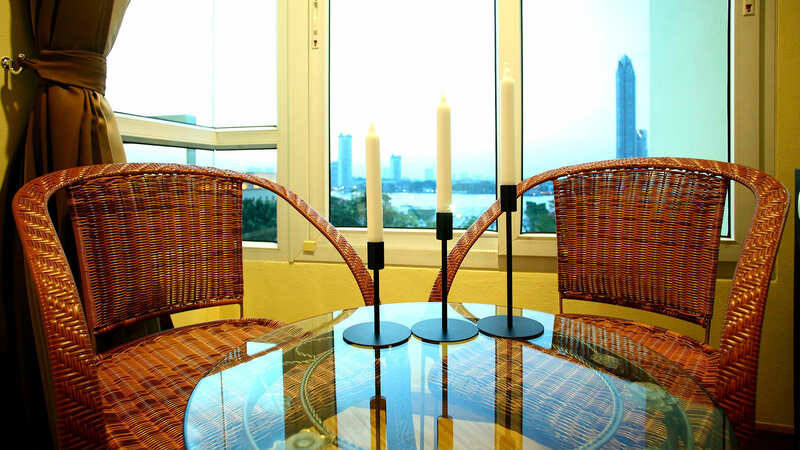 All of them come with the Chao Phraya River view. 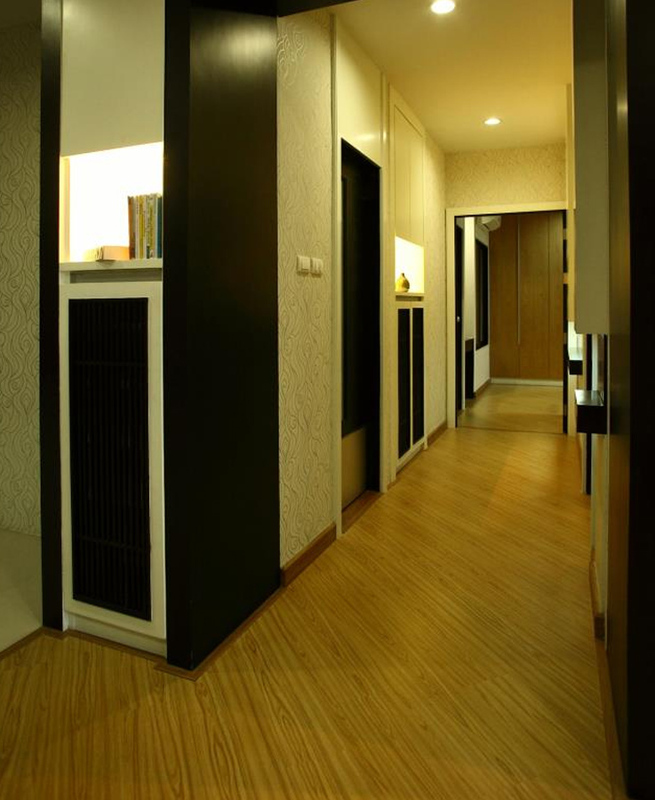 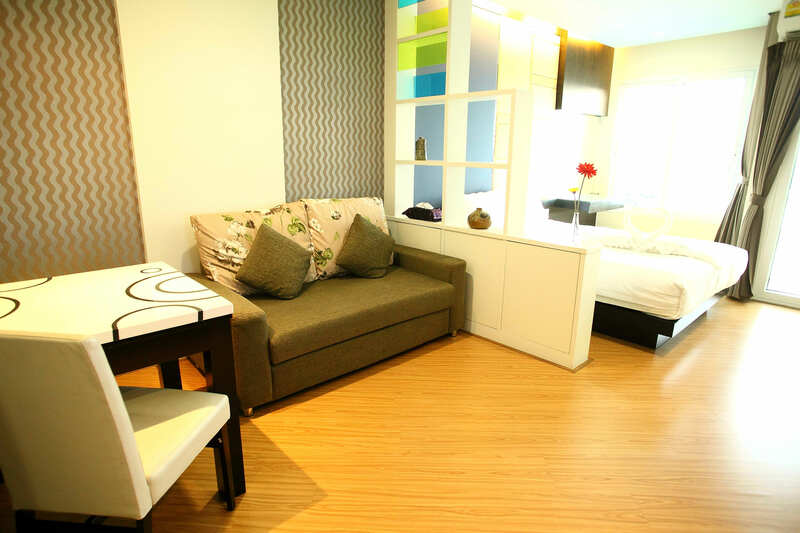 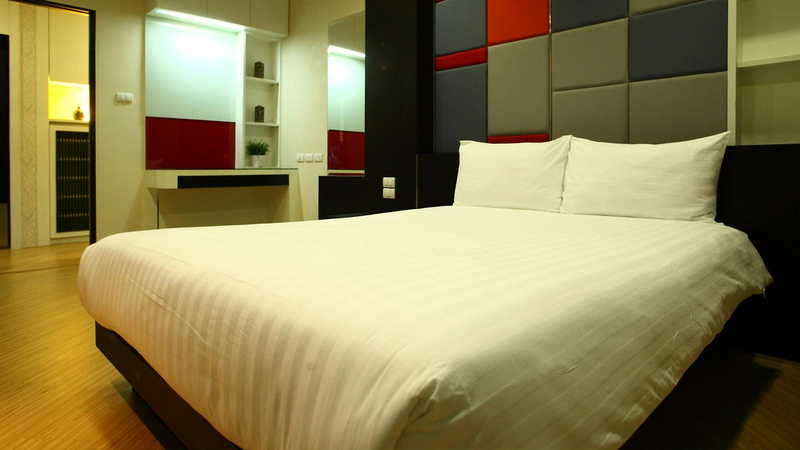 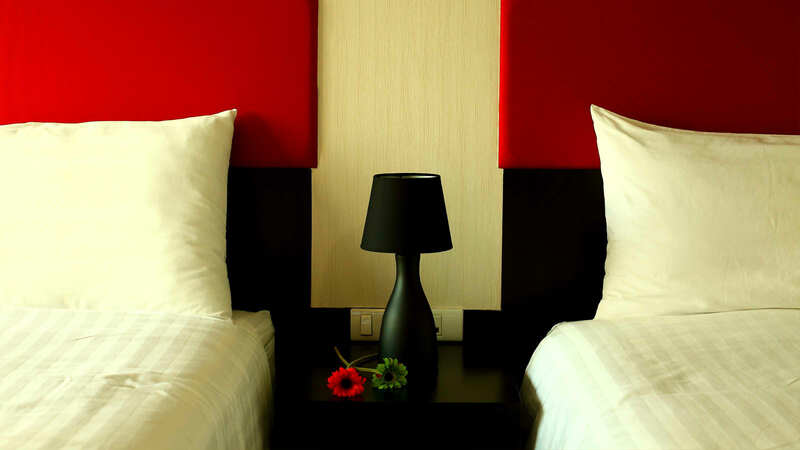 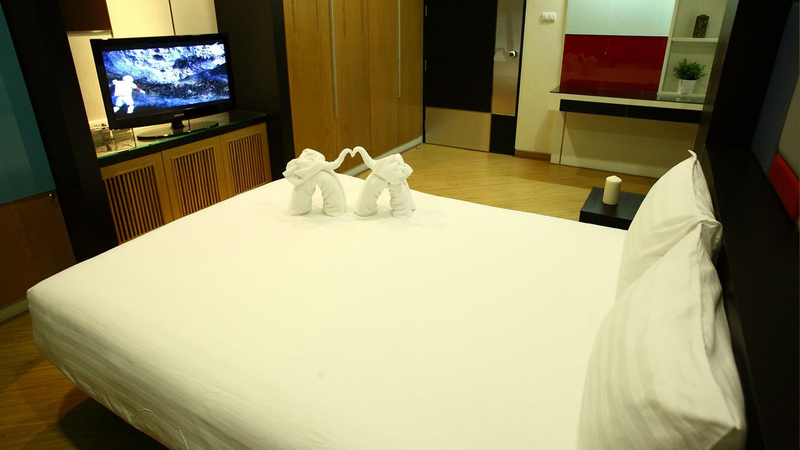 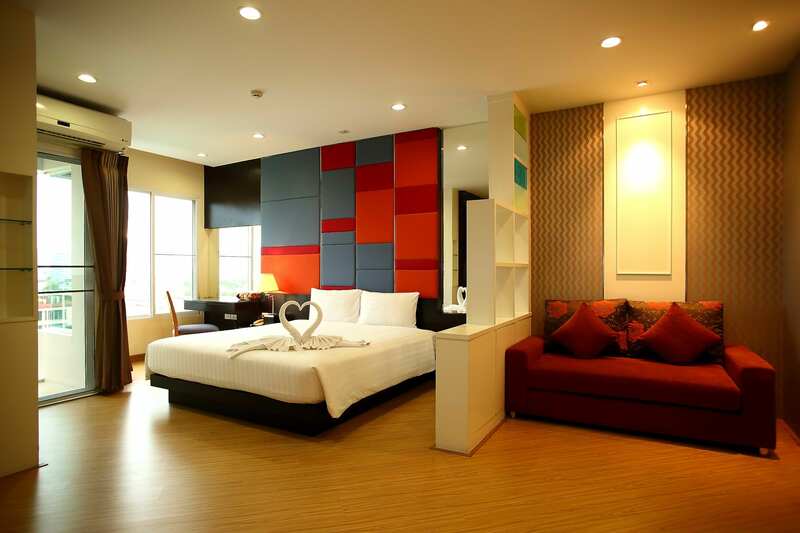 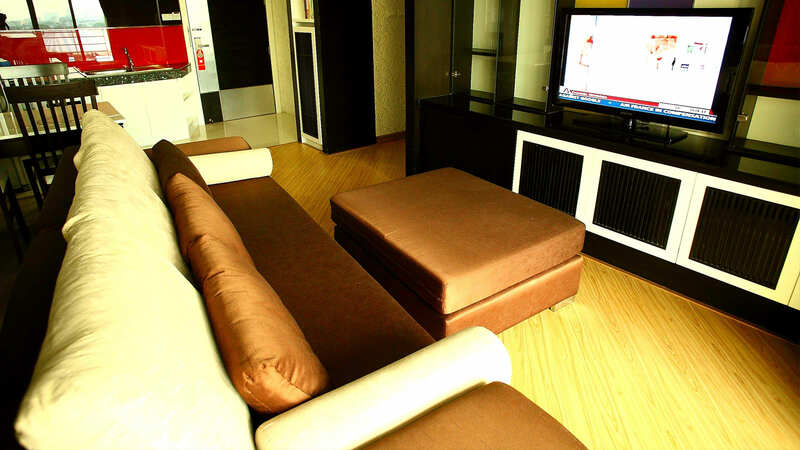 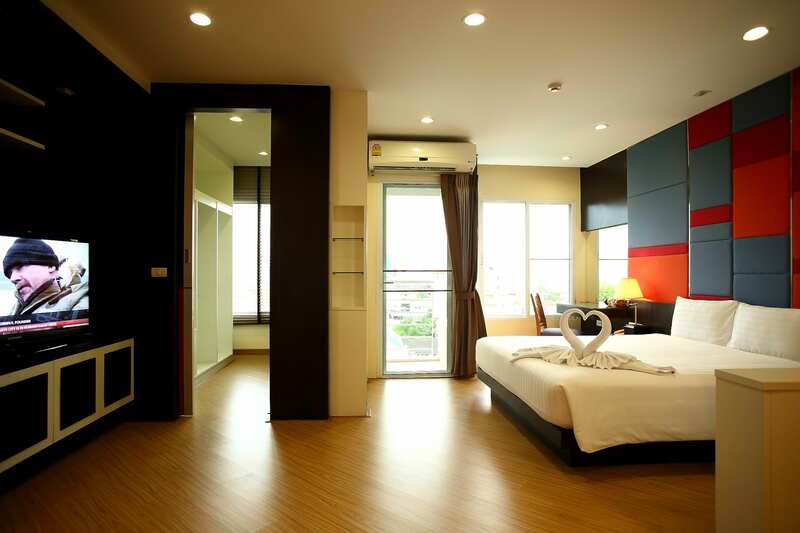 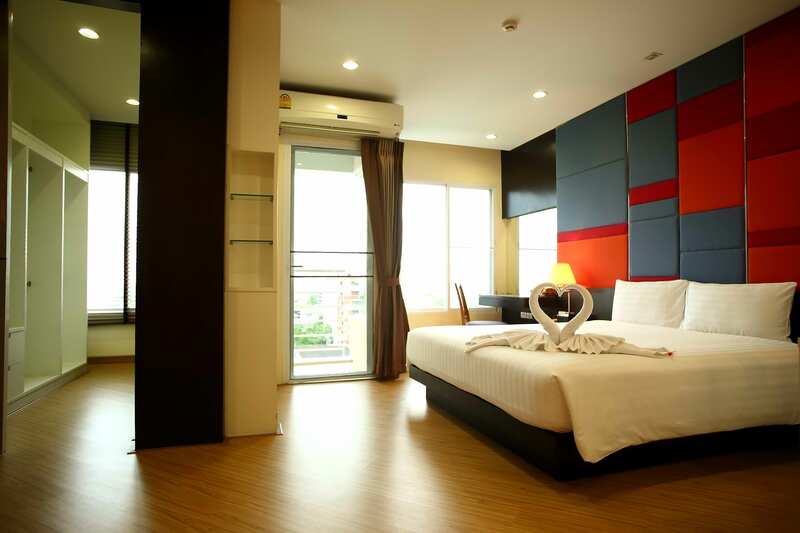 A spacious and bright superior room with twin bed with a room size of 30². 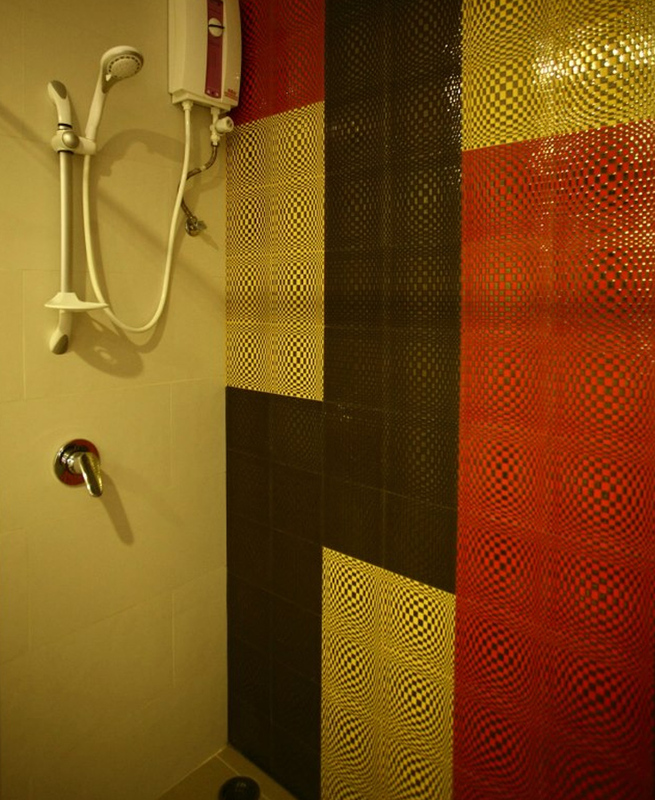 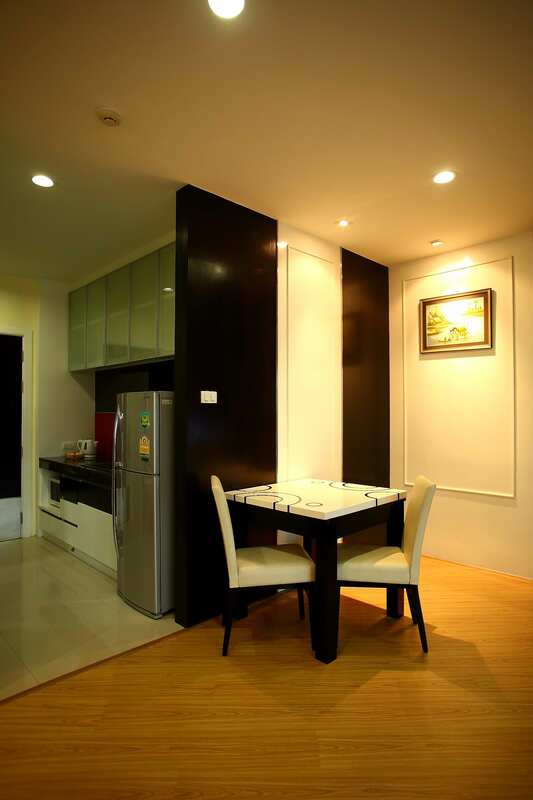 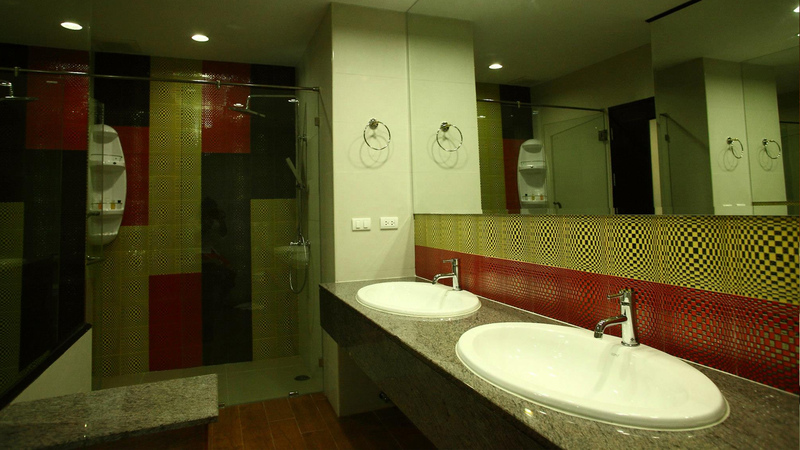 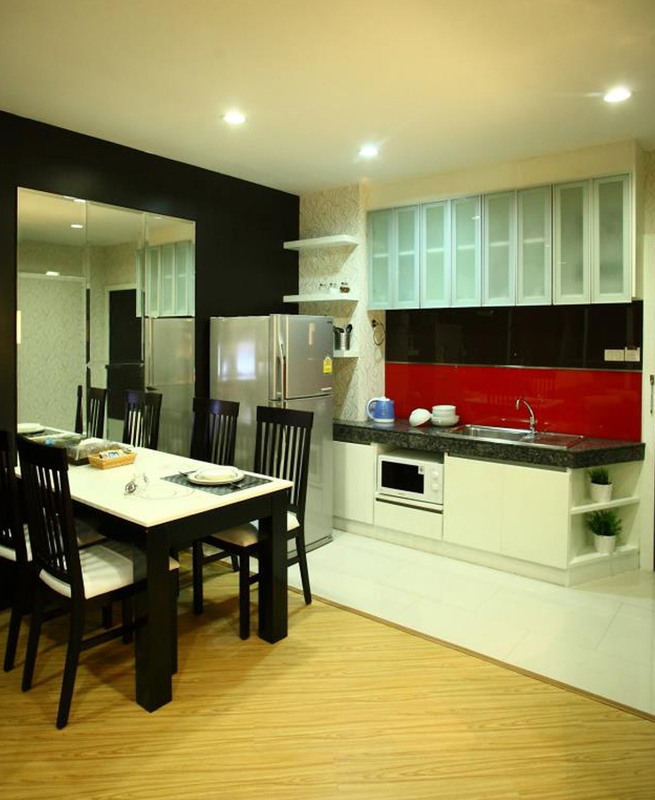 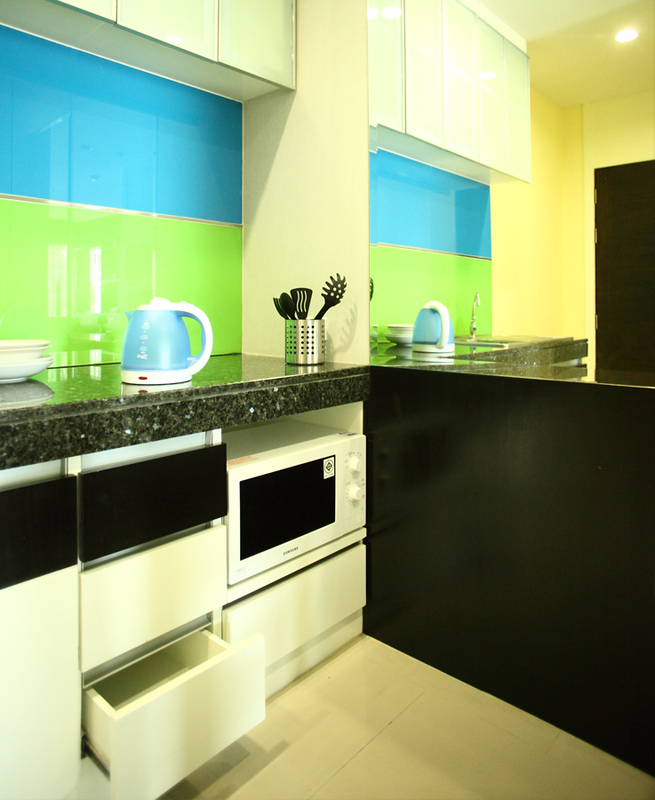 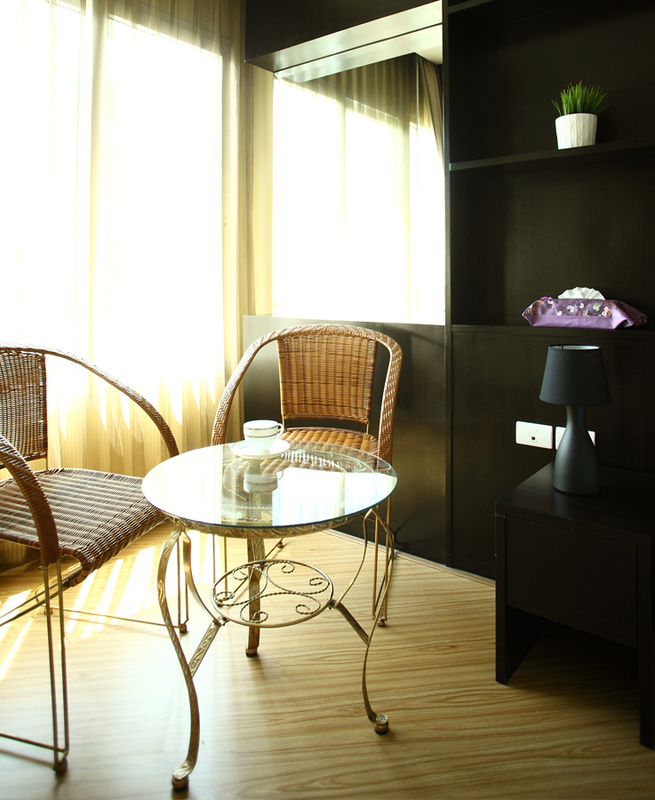 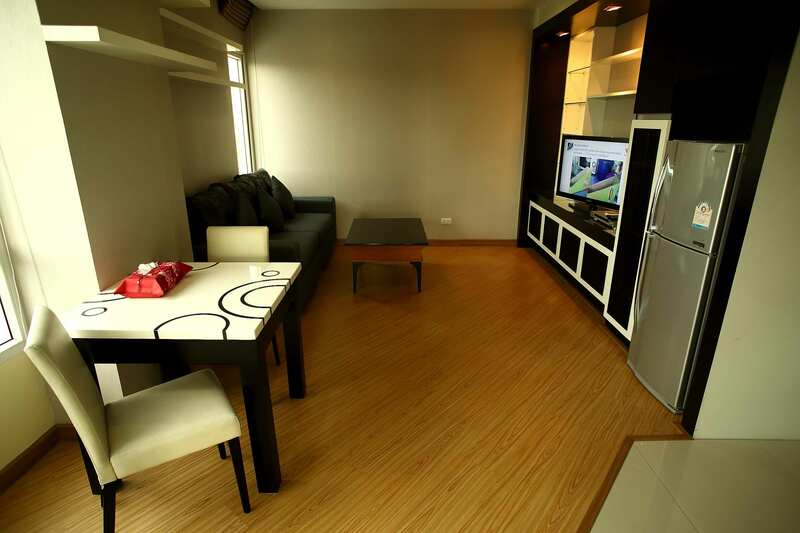 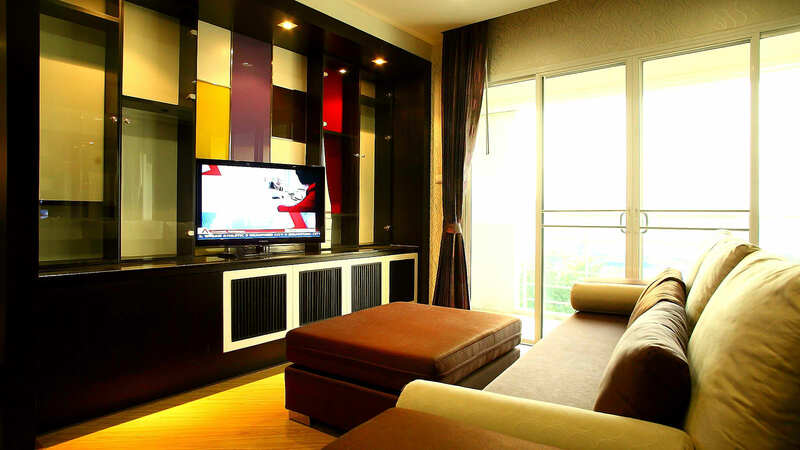 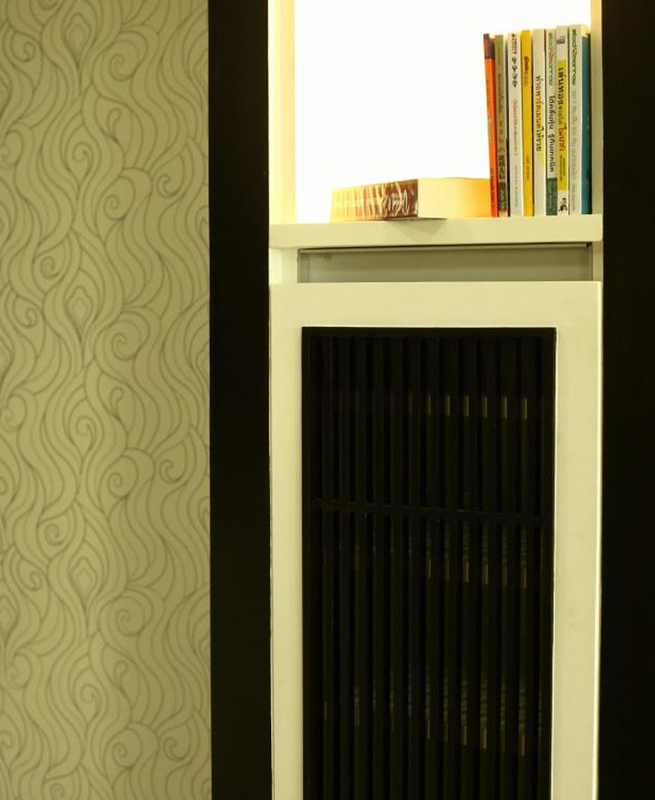 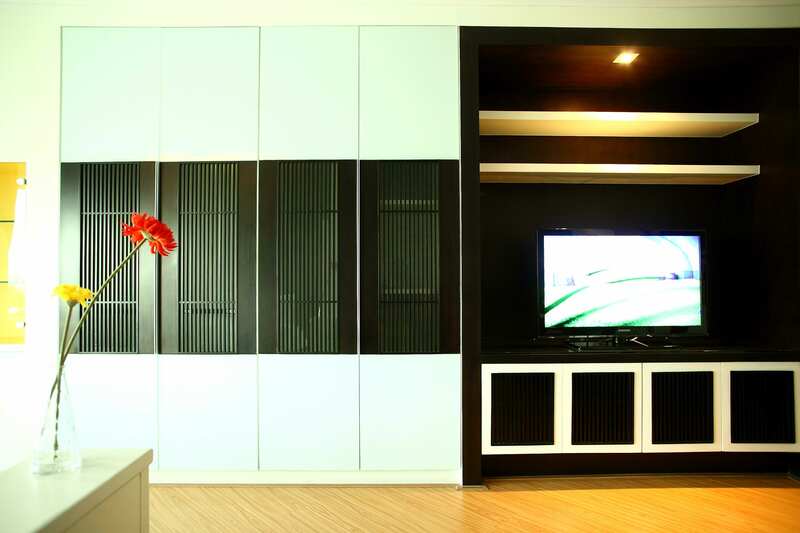 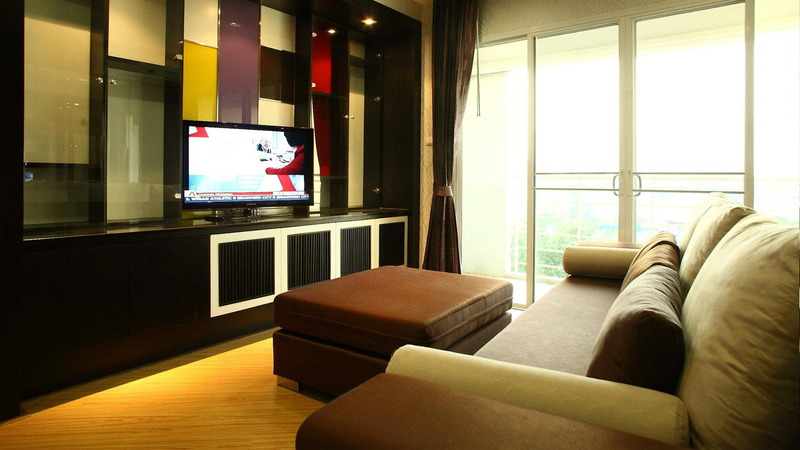 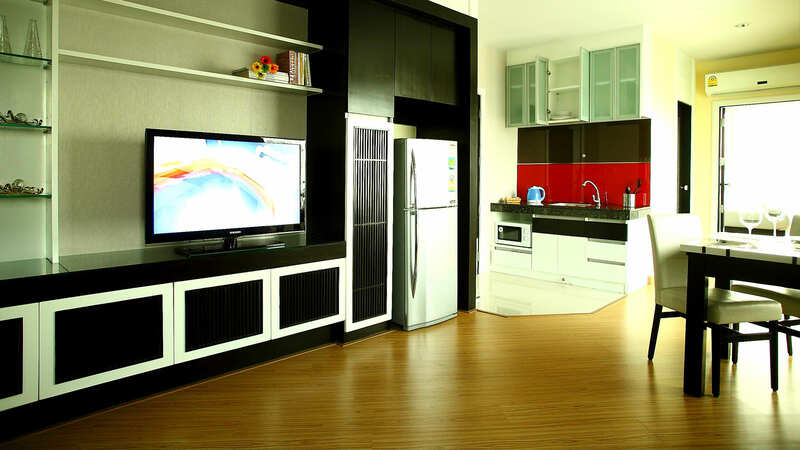 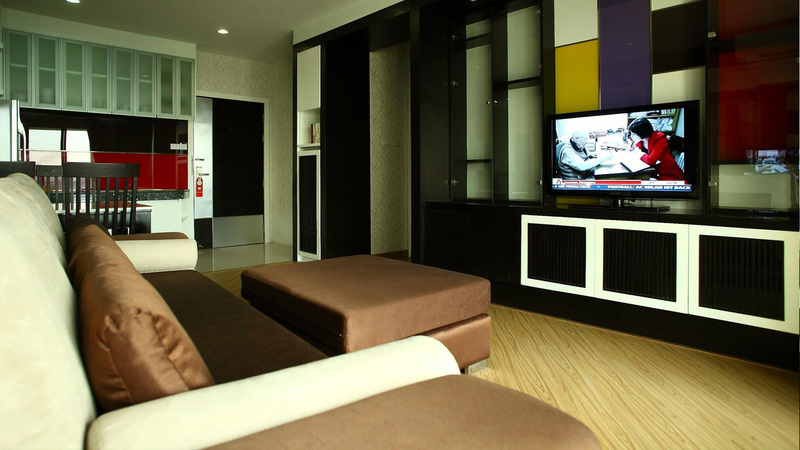 All of these modern designed rooms have their own private furnished balcony and pantry. 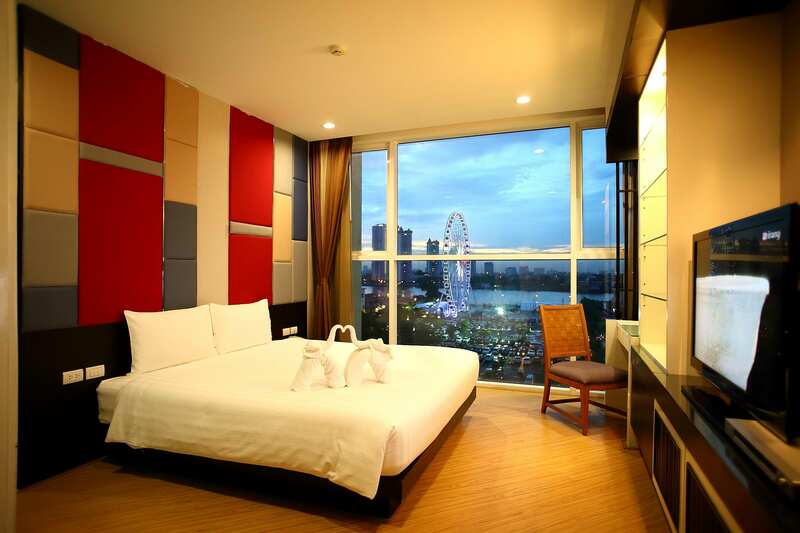 All of them face the quite city view. 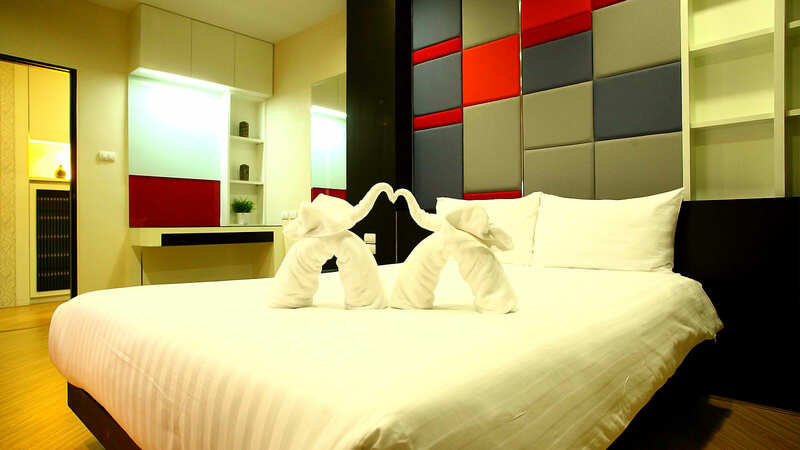 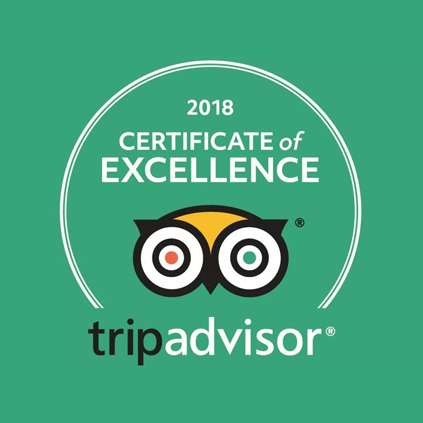 The comfortable and modern designed Super Deluxe rooms are 35² featuring double beds, and include a living area with a comfortable sofa, dining table, desk, pantry and private balcony facing the city view. 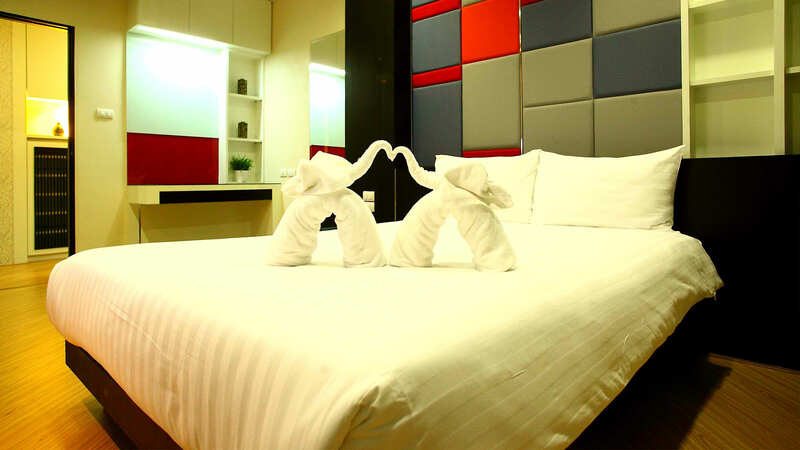 The comfortable and modern designed Sweet Suite rooms are 45² featuring double beds, and include a walk-in closet, a living area with a comfortable sofa, dining table, desk, pantry and private balcony facing the city view. 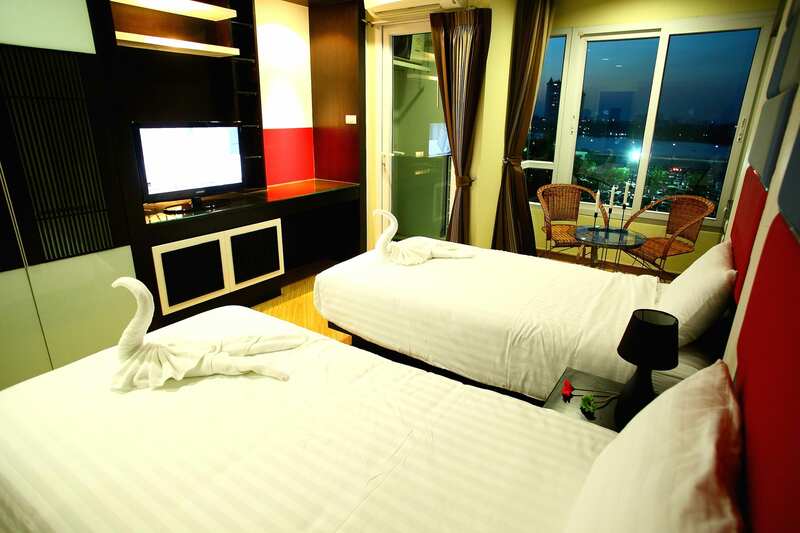 The comfortable and modern designed 1 bedroom Junior Suites are 50² featuring double beds with the separate bedroom and living room with a comfortable sofa, dining table, desk, pantry and private balcony facing Chao Phraya River view. 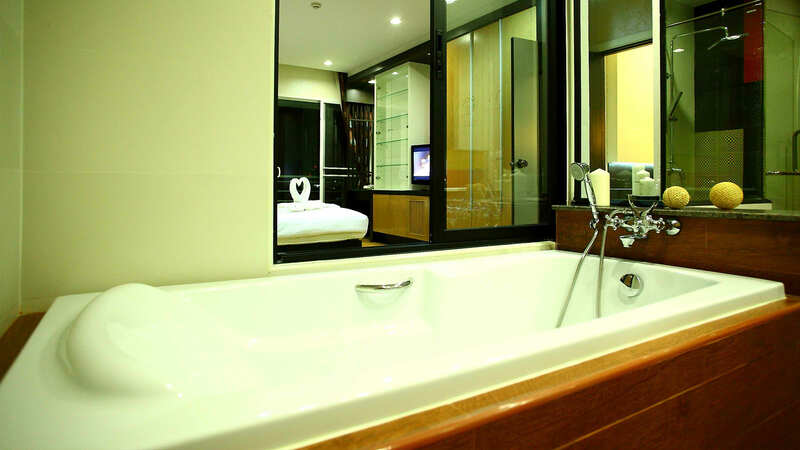 The comfortable and modern designed 2 bedroom Family Suites are 90² featuring double beds with the separate 2 bedrooms and living room with a comfortable sofa, dining table, desk, pantry and private balcony facing Chao Phraya River view. 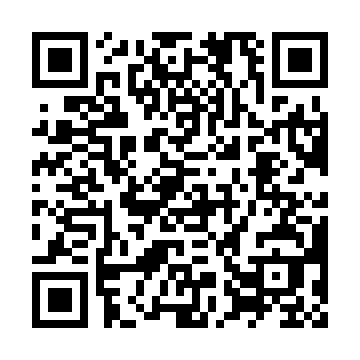 Please fill in the bolow form. We promise to respond to your inquiry as quickly as possible.